Have a wonderful time Mark and remember what happens in Chiloquin stays in Chiloquin! Hugs to all ! Does that mean we don’t get details? Shucks!! TSA gave me the third degree, pulled me out and gave me a prison shakedown, swabbed my hands, felt me up like a Las Vegas whore and took apart my carry on. They separated me from my valuables for like 15 minutes, just a little pissed. I love flying, but never again… at least not till we get this sh#t squared away (and NOT in the Masonic sense of the word). Thanks you guys, more surprises to come. Good. I thought the surprise was that Henry wouldn’t be doing the broadcast. To me this was not a surprise, well a good one anyway. We’ll miss the broadcast but am glad you guys will get a needed break and some refreshing. I’m happy for you all and hope we can enjoy through lots of photos. Anyone who is part of the trenches will likely get the same “treatment” from the TSA. The last time I was on a plane was 2009, and I have no desire to fly again until that crap comes to an end. Mark, appreciate the photo and hope we’ll see more. Stay safe and have a wonderful visit. Even the airplanes have writing in Spanish, ridiculous! Don’t we speak English in OUR country? Sin city to san fagcisco to methford. What a trip. Enjoy Chiloquin. Went through modoc a few months back. 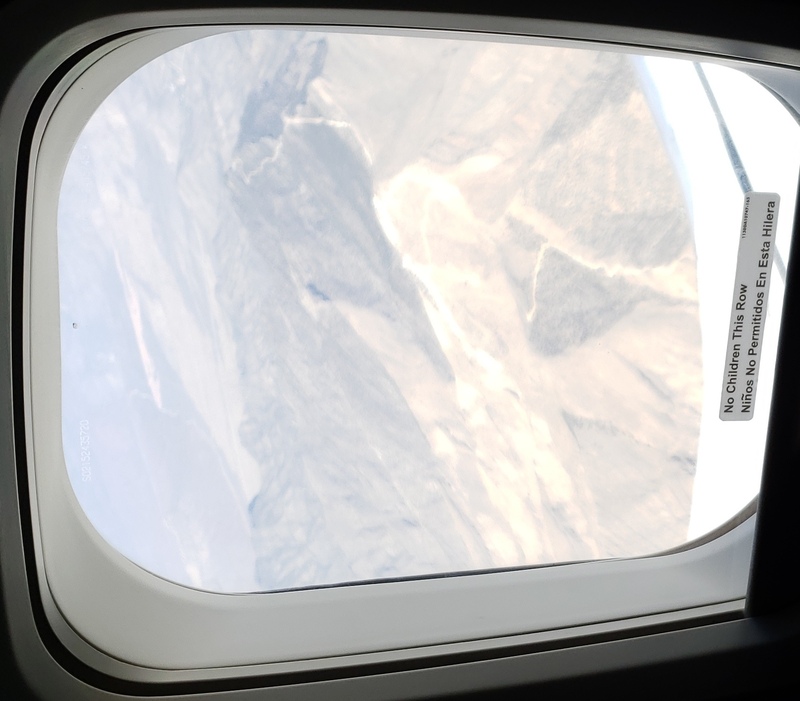 Is that the Sierra Nevadas in the plane window? When you get your rental car watch out for the truck drivers on the highway. They’re all crazy. I’m been trying to figure out. How in the fk did Mark get his rig to fly over the mountains and take that pic. Just a couple of patriots hanging with patriots’ family. What’s NOT to like? Enjoy, please! Thanks for the pics, Mark!! 🙂 :-)God bless, and you guys give em HELL!!!! God this is giving me the urge to take a road trip to somewhere! I think I heard an early news report out of Oregon. Seems last night the sky, over a little town called Chiloquin, presented several unexpected meteors. Also, six remote comets sped up and passed over. The Northern Lights, not usually appearing this far south, put on an awesome and overwhelming display. No asteroids were detected in the midsts of the shower of shooting stars. The moon, though only in the three quarter stage, waxed speedily full, right in front of peoples’ eyes. These sky-watchers were amazed and mentioned that the sky seemed to be having some kind of celebration and MARKing a special and unprecedented event. Amateur astronomers speculated that this anomaly was likely a sign that the heavens were blessing an important and valuable event, one that would afford all concerned a wonderful experience and likely result in benefiting all of mankind.